Nothing used this week, but I do have about 3 projects that are in the almost finished stage. This week, with all the company gone, I can get back to some sewing and hopefully have a few completions to report by the end of the week. On Friday, I took a class at Memory Lane and ended up leaving with a couple of purchases, including picking up the next two blocks for the Medallion Quilt. Net fabric used in 2011: 108.5 yards. How did you do this week? Check out all the other reports at Patchwork Times. 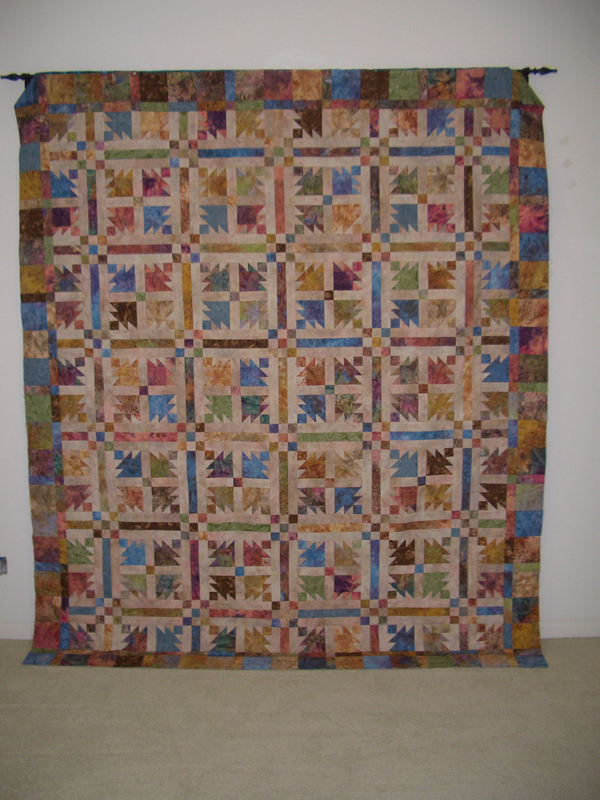 This week along with trying to find time to work on my July UFO, I have the quilt below on my wall. It is called What goes Around and was started in the class taken at Quilt in a Day. I have a few more blocks to put together and then will sew all the rows together. I have a couple of different borders in mind and will make a choice once the top is together. This was a fun project and did go together very fast. Looking forward to finishing this up by the end of the month. This week I have nothing to report used, but did make a few purchases. Hope to change that by the end of the month with the completion of my July UFO- which is coming along slowly. Purchases were made for a couple of projects in the works. Hope to stay out of the Quilt shops this week! Purchased YTD: 54.0 yards.Net fabric used in 2011: 111.5 yards. Ok, I am only a couple of days late in reporting. But wanted to at least try to keep up to date. 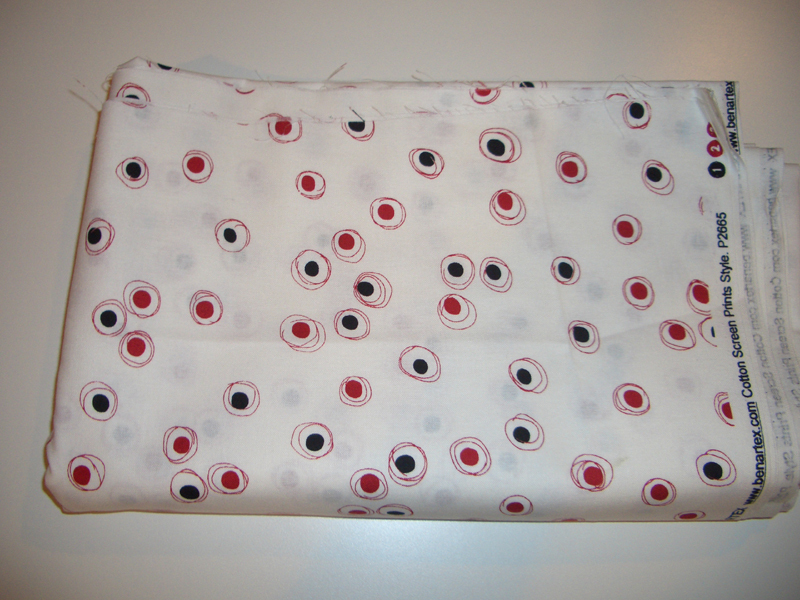 This week I have nothing used, but did purchase the great dot fabric below. 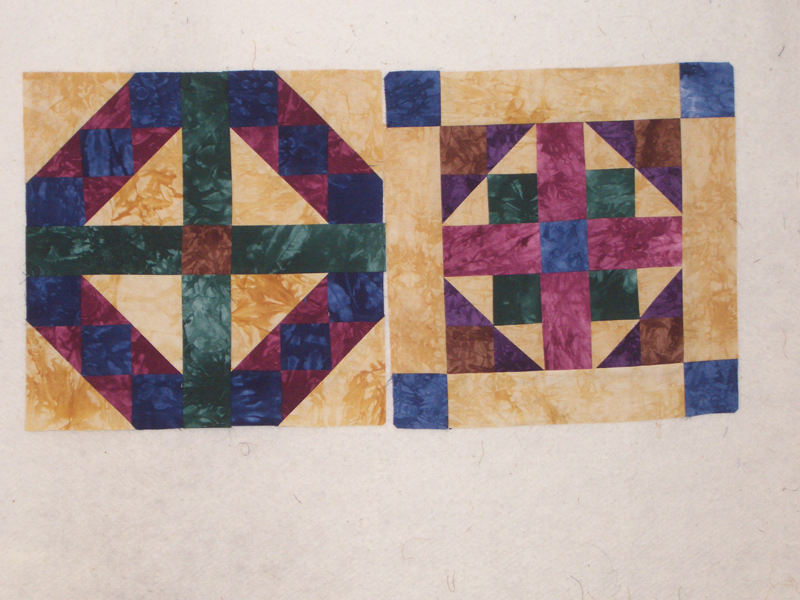 This will be used in an upcoming class that I will take at Quilt in a Day in San Marcos. It is a circle quilt and I will share the results when it is finished. Net fabric used in 2011: 118.5 yards. This week I only have a couple of purchases to report. 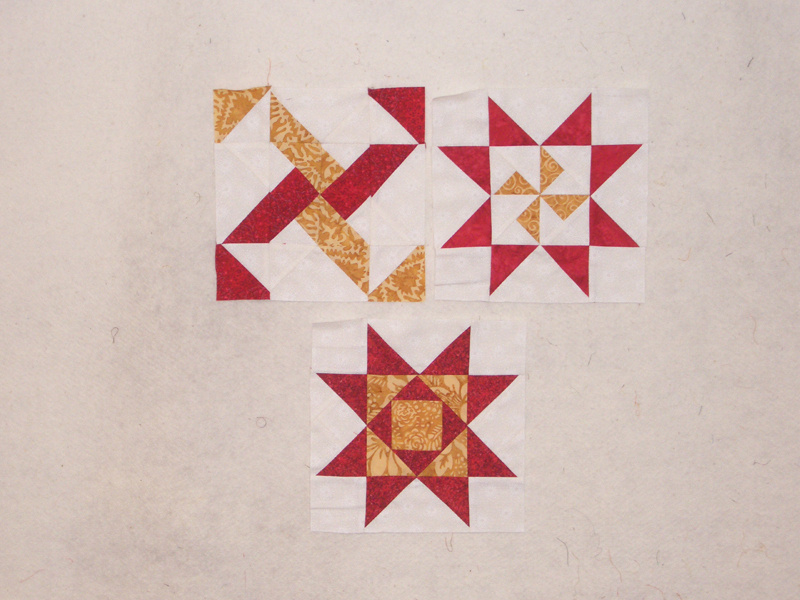 I picked up block 7 for the Building Blocks with Sharon Craig quilt that I am working on- or was working on. I only have 3 blocks complete, so already behind on this one. I also found myself at Memory Lane this week, to pick up binding for one of my clients. Found what I needed, but also signed up for another block of the Month This one is all hand dyed fabrics and the colors were beautiful. I picked up the first two blocks and did get both of those complete. Will pick up the next two on Monday. 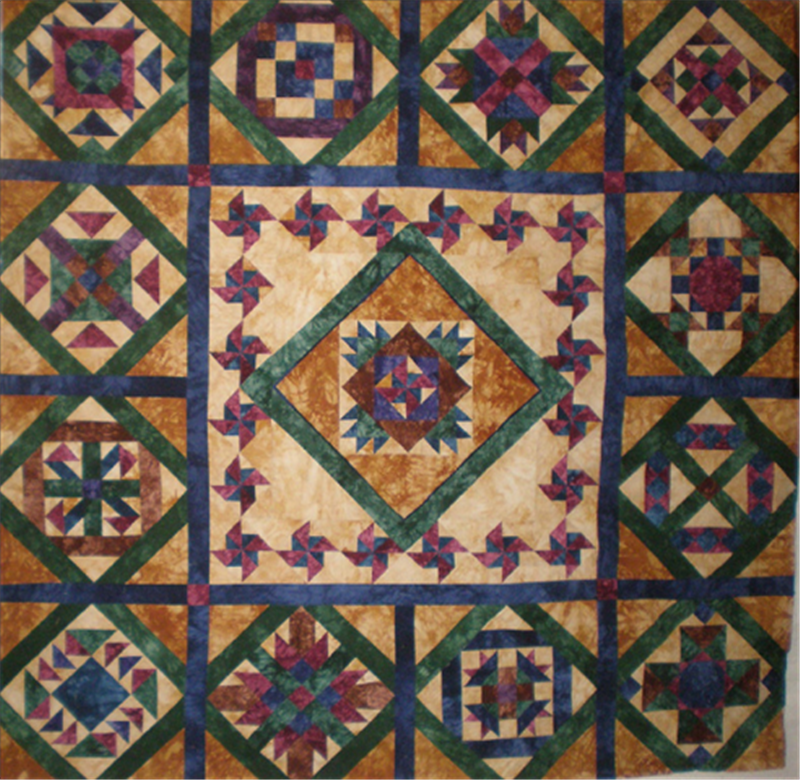 Below is a picture of the finished quilt- it is called Medallion Block of the month. All in all, I only purchased 1 yard of fabric. Purchased this week: 1 yards. This week I used a whopping 25.5 yards of fabric for the Dove in the Window Quilt. Nothing added this week. Hard to believe we are half way through the year. I am hoping to use up another 120 yards before the year is out- and probably still won't put a dent in the stash. Don't forget to check out all the other reports at Patchwork Times.